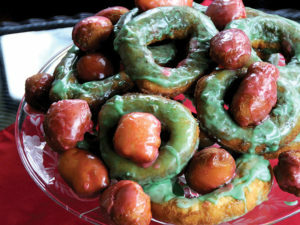 For the doughnuts, mix together the flour, sugar, salt, baking powder and baking soda. Cut in the butter and the shortening until coarse crumbles form. Add in the sourdough starter. Mix the egg and 3/4 cup of milk, then mix in with the sourdough starter and rest of mixture, add a bit more milk if needed. Turn onto floured surface and knead about 6 times. Roll dough out to about 1/4-inch thick. 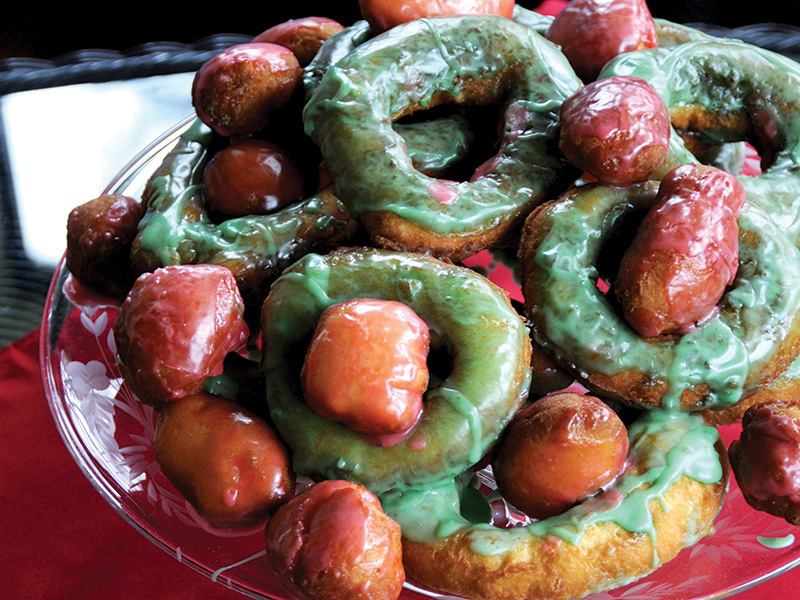 Cut into doughnuts with doughnut cutter, or a large glass and a smaller glass. Re-knead and roll as needed with trimmings. Fry the doughnuts and holes in 350-degree oil until they float and turn golden brown. Remove from hot oil, drain on paper towel then place in glaze mixture, coating both sides then move to serving plate. Best when served warm. For the glaze, divide the ingredients in half if wanting to do the colored glazes. Mix together the powdered sugar, vanilla and water, blend until smooth. Add food coloring a drop at a time until mixture reaches desired color. Cook grits according to package directions. Add the better and a cup of cheese, stir until melted, over low heat if needed. Allow to cool and stir in two eggs. Pour mixture into 2-quart casserole dish. 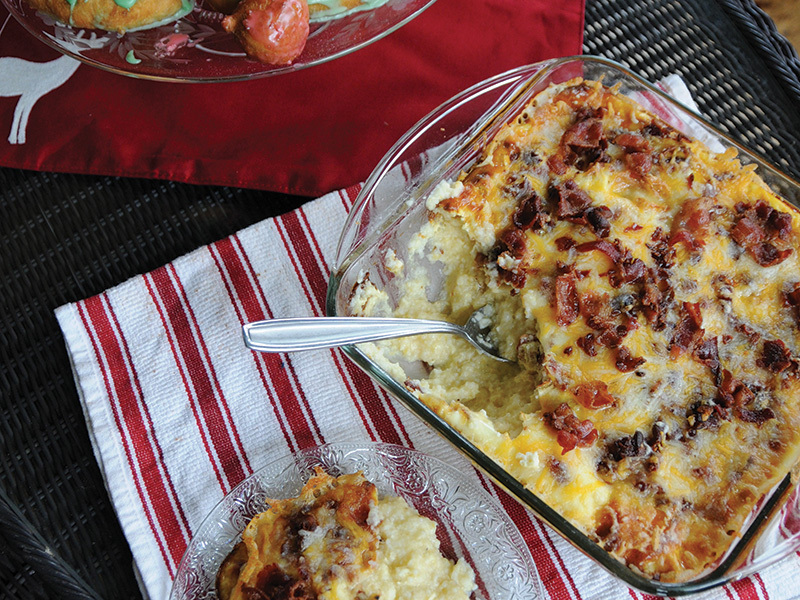 Fry bacon until crisp, crumble and sprinkle over grits. Beat remaining eggs, pour over bacon and grits. Bake at 350 degrees for about an hour. With about 5 minutes left, sprinkle remaining cheese over grits, and return to oven for 5 minutes. Serve hot.